The prompt for Document Life Project one week was to use a stamp in a different way so I debossed. This entails applying a thick coating of gesso onto a square piece of index card, then putting your stamp into the gesso. Some of the gesso pulls off leaving an imprint that is raised and interesting. I then used gold and pink acrylics brushed lightly on top. I adhered the index card to a prepared page and added a small tag I had previously done but just added the leftovers of the debossing stamp for more texture. Washi tape connects the page to the moleskin journal. The next picture shows the other side of the tip-in with a red stamp randomly applied over the page to create more design. 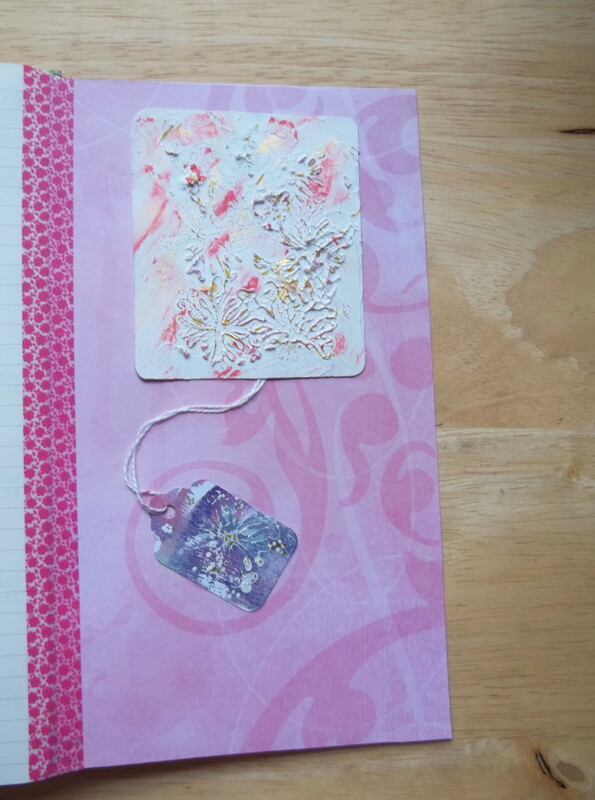 Then a pre-designed tag was stamped twice to create depth and washi tape lace added both more depth and texture. The debossed tip-in with the prepped planner page and “To Do List” complete with a parchment flower and a picture from an old movie magazine allowing room for journaling about the week. 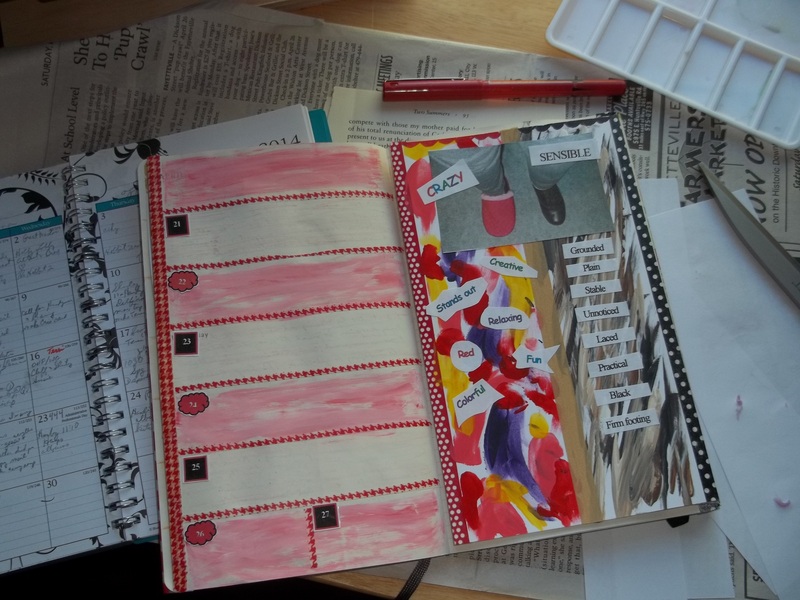 A lovely week to insert and add to my Project Life album, which will remind me of the process long from now. And will show what I am doing during my day along with other daily photos. The next prompt for Document Life Project, still for April, was to do something regarding our favorite shoes. I have a very practical pair of shoes I need for any amount of walking and standing – they are good for balance. My favorite for outings, not for comfort overall. those would be my crazy, quilted red slippers. So I wound up taking pictures of me wearing one of each since both are my favorite shoes. 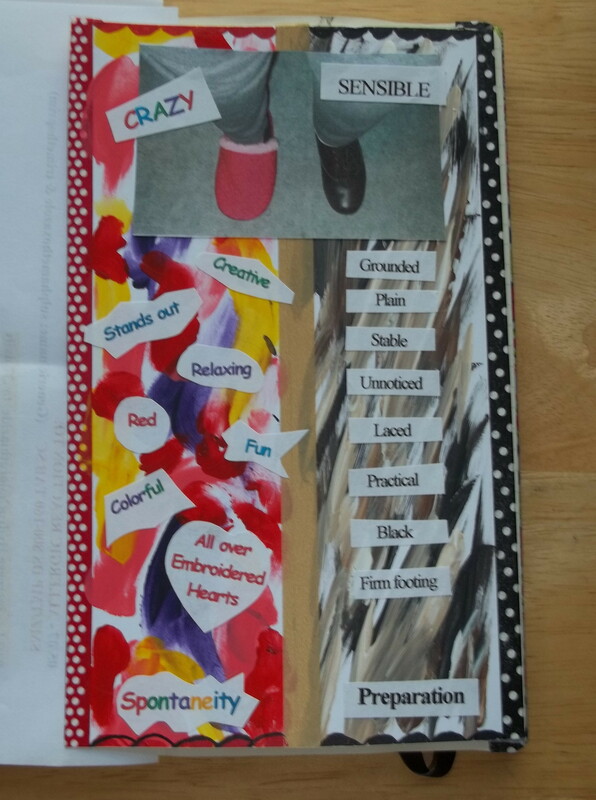 Then I added words to describe each shoe and what each meant to me. This prompt tip-in illustrated the various aspects of my life. Then I worked on another picture I had taken of me wearing the 2 different shoes but with a wide stance. The associated words were then related to balancing the various aspects with each aspect going its separate way. This was on the back side of the tip-in. 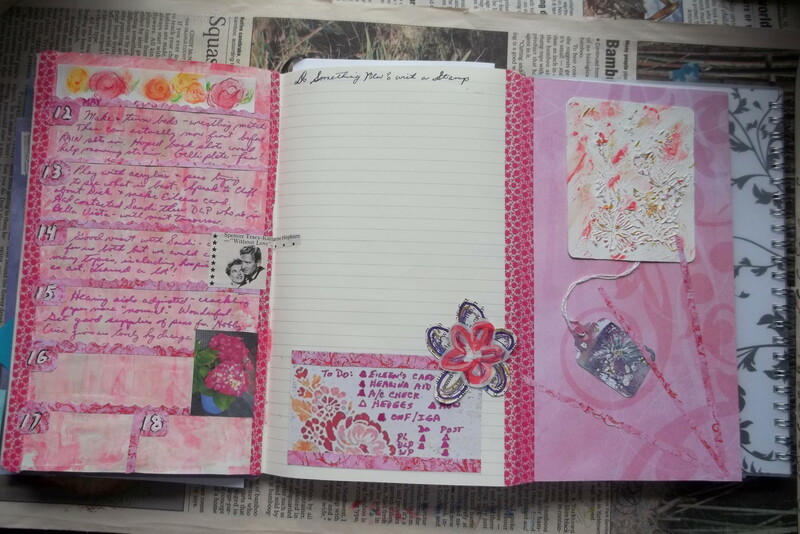 Later I added the divisions for the planner pages on left and journal page underneath. 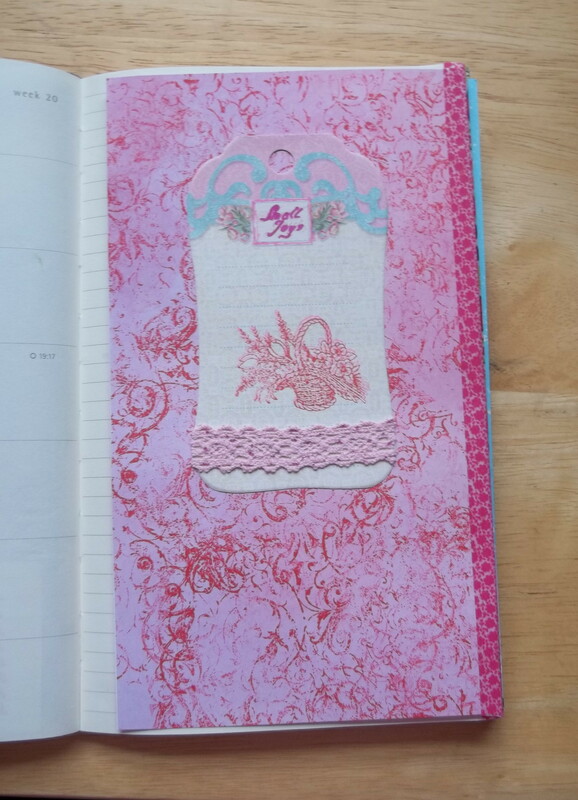 Of course, I took pictures of the pages and added them to my Project Life albums.